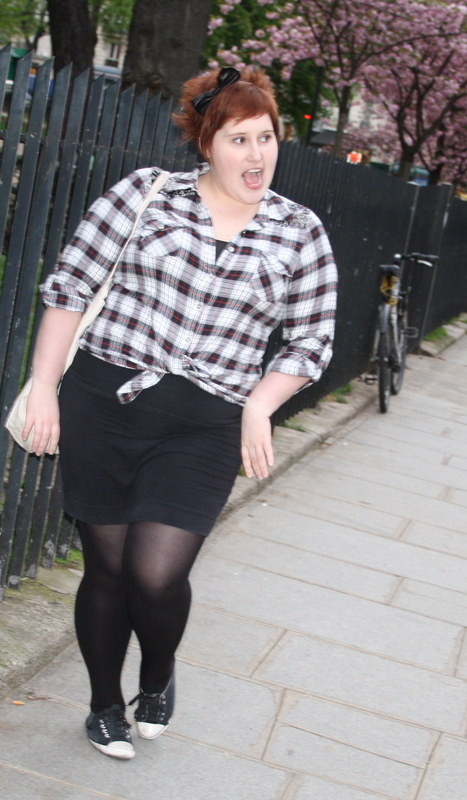 Toodaloo Katie: OOTD: I want to ride my bicycle! 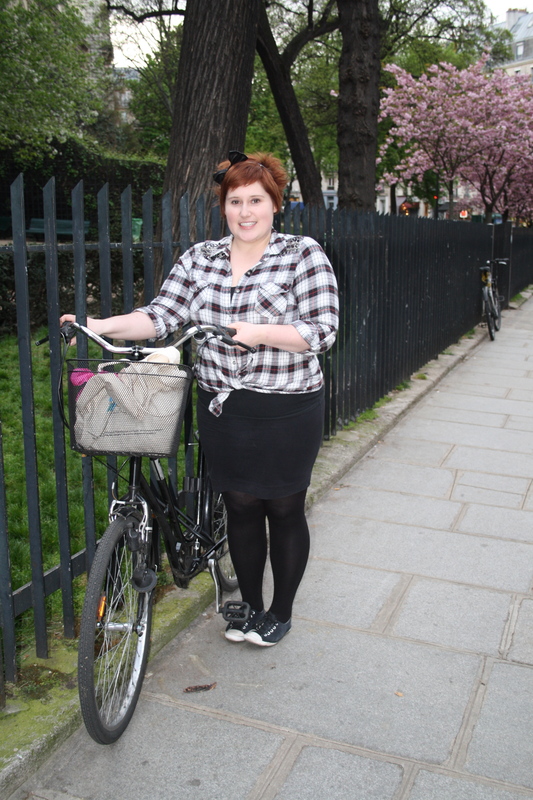 OOTD: I want to ride my bicycle! Here is an outfit that I wore on a day where I really wasn't sure if the weather people were telling the truth. 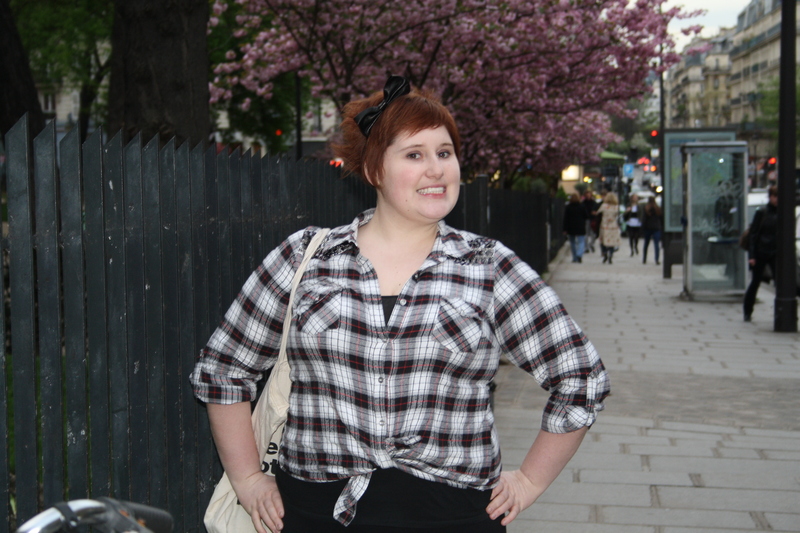 It was supposed to be 20 degrees in Paris but I was sure that in the evening while I was out, it would go back down, so I pulled out the flannel shirt! As I have said before. plaid flannel shirt are one of my favourite things - it's definitely the Canadian in me trying to get out. I've seen you rock a plaid shirt before, I think you do it well. I find it a hard print to rock. Enjoying the spring weather also over here. I so want to go back to Paris and be cold, crazy it sounds!